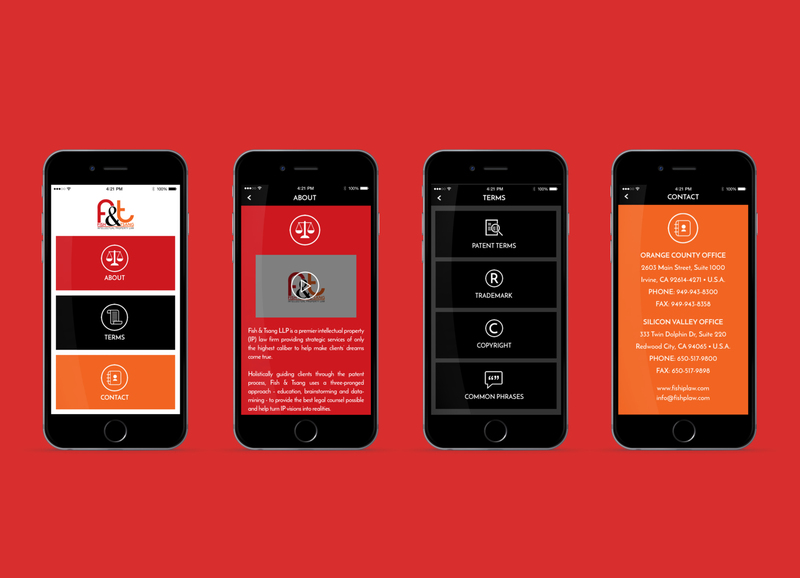 Fish & Tsang LLP, an intellectual property law firm with offices in Orange County, CA and Silicon Valley, CA, launched a new mobile app for iOS and Android. The app is a resource for international intellectual property practitioners. "Everything we do at Fish & Tsang is to help our clients have a great experience, and to learn more about IP. 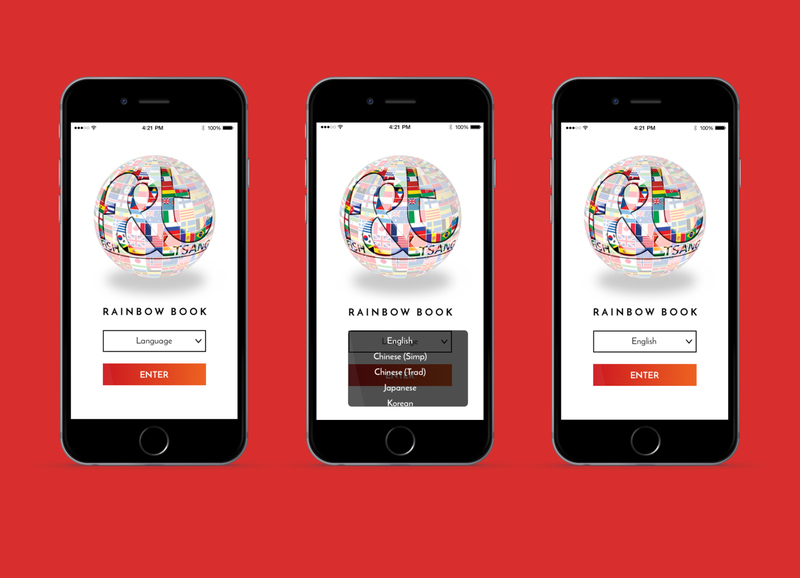 We hope the Rainbow Book™ mobile app achieves that goal." Today, Fish & Tsang LLP (F&T), an intellectual property law firm with offices in Orange County, CA and Silicon Valley, CA, launched a new mobile app for iOS and Android at the International Trademark Association (INTA) 138th Annual Meeting in Orlando, Florida (http://www.inta.org). The Rainbow Book™ by Fish & Tsang LLP (http://www.rainbowbookapp.com) translates common intellectual property (IP) terms into seven different languages including English, Chinese, Korean, Japanese, Spanish, Portuguese, and German. The app is available for free download on the Apple App Store for iOS and Google Play for Android. F&T first launched the Rainbow Book™ as a printed resource at INTA in 2014 in Hong Kong as a resource for international IP practitioners and owners with translations of common patent, trademark, and copyright terms. The Rainbow Book™ is the brainchild of F&T Managing Partner Mei Tsang. “I had the idea for the Rainbow Book™ during one of the earlier INTA meetings. I thought, ‘what if all of the professionals had a handy guide that shows all the technical IP terms in different languages?’” Tsang said. The translation and general design of the app was done in-house at F&T. “Many on our team speak other languages, and our attorneys, agents, and paralegals, along with support from our foreign associates, contributed to the translation of the app.” Tsang said. “Additionally, our creative director, Steve Brown, who creates all of our FishArt™ patent art and provides the visual direction of the firm, designed the general look and feel of the app. Tsang said that F&T has more plans for the Rainbow Book™. “There will be more languages, of course, and a reference guide. For example, you will not only get to know what the term ‘utility patent’ is in Korean, but also learn the term length of a Korean patent,” Tsang said. “Everything we do at Fish & Tsang is to help our clients have a great experience, and to learn more about IP. We hope the Rainbow Book™ mobile app achieves that goal,” Tsang said. Fish & Tsang LLP is a full-service intellectual property law firm. F&T provides strategic legal services to help make clients’ dreams come true. F&T’s attorneys, agents, and paralegals have 128+ years combined intellectual property experience. The team at F&T has the technical background and experience to solve any IP problem. In addition to being legal experts, F&T employees are scientists, engineers, software developers, and branding experts. F&T is internationally focused and multi-lingual: most F&T employees speak more than one language. Learn more about Fish & Tsang LLP at http://www.fishiplaw.com.